Radiant Health with Essential Oils! 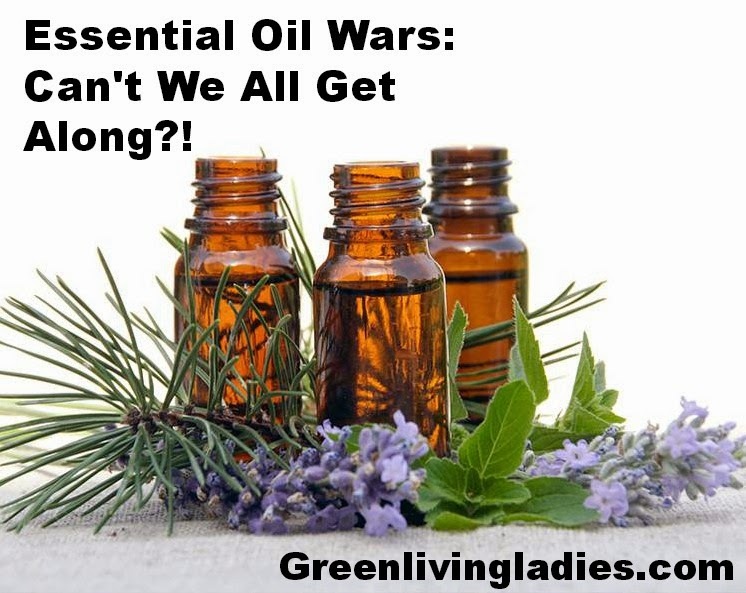 : Essential Oil Wars: Can't We All Get Along?! Essential Oil Wars: Can't We All Get Along?! Essential oils are growing in popularity and for good reason. Simply put, they work! They’re also easy to find at your local health food store, grocery store or online. There are several popular brands of essential oils that most people are familiar with these days. Start researching and you’ll find many wonderful resources about these oils and their many benefits. But you will also find a lot of essential oil drama. Yep, drama! And I do not think that should be our focus. Let's talk about how essential oils work, not just what company you are using. Having lived in Colorado and now Utah, I've been exposed to virtually all the essential oil companies around. Each essential oil company states their purity, potency and reasons they are different than others. I've tried almost all of the major essential oil companies out there today. Yes, I do promote and only use doTerra essential oils because they are the only oils that have delivered the results I was looking for, but you will never hear me bad mouthing or putting down another essential oil company. Why? Because essential oils are amazing and I believe more people need to be using them regardless of brand. So what are essential oils exactly? Essential oils are the natural aromatic nutrients from the bark, flowers, leaves, roots, stems and seeds of plants. They contain virtually of all of a plant's nutrients, amino acids, enzymes, trace minerals and vitamins. In addition to giving plants their unique fragrances, essential oils have hundreds of therapeutic qualities. They have been used throughout history, including by the Egyptians and Greeks, and The Bible contains hundreds of references to essential oils. Unlike herbs, which can lose up to 90% of their nutrients after harvesting, essential oils retain theirs. In fact, the oils are 50 to 70 times more concentrated than herbs! As a Holistic Health Coach, I love helping people reach their health goals and rebuild their health--specifically gut health. 80% of our immune system is in our gut. .
Aromatherapy has been scientifically proven to reduce stress and enhance sleep. Hospitals are even starting to diffuse essential oils in their waiting and emergency rooms with fantastic results. My family loves it when I use essential oils in their favorite recipes (like this popular dessert Homemade Chocolate Peppermint Candy). Essential oils are a kitchen pantry essential at my house! I love cooking and baking with essential oils. Having a variety of essential oils in my pantry is like having an herb garden in constant full bloom with year round access. Essential oils save me money because just a few drops go a long way. Cleaning with essential oils in place of chemicals is easy and more cost effective. In fact, I no longer have to buy toxic cleaners, deodorant, perfume, even commercial shampoo to name a few. I've replaced all of these store bought items simply by using essential oils. Essential oils can help bring your health to a whole new level. Let's end the essential oil wars and appreciate these amazing gifts of nature. Join us! Email us at GreenLivingLadies@Gmail.com with any essential oil questions. We have some amazing monthly enrollment specials available now! Thanks for having the courage to say what needed to be said, Laura. Everyone has their favorite essential oil company and we should live in harmony with that fact. Essential oils rule! Good post. Essential oils are such a wonderful healing tool and have so many uses in cleaning as you have so beautifully pointed out. WIll share on twitter and Pinterest. Visiting from The Home Acre Blog Hop! Thank you for a frank look at the "war". I love EO's and learning about them. Thank you for sharing at the HomeAcre Hop; I hope you'll join us again this Thursday.